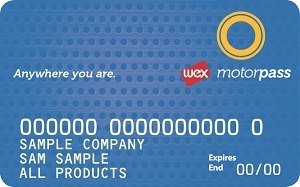 As part of an internal business review WEX has decided to focus on the WEX Motorpass fuel card brand. As a result, we are no longer offering the Motorcharge fuel card to new customers. You will not be able to apply for a Motorcharge fuel card. If you are interested in a fuel card for your business that could save you time and money, our WEX Motorpass fuel card is available.